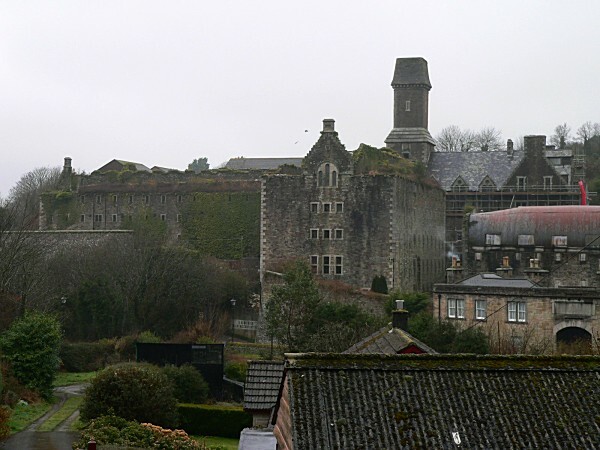 Bodmin Gaol (or Jail) was originally built in 1779 by Napoleonic prisoners of war, and was a fully functioning jail for 150 years thereafter. It was in fact the first British prison to hold prisoners in separate cells, rather than all together communally. In 1869, being in debt was no longer punishable by a spell in prison, so, with much more space than before the jail became host to many naval prisoners. This eventually took an entire wing of the building, until in 1927 it was closed. Interestingly, during the second world war the prison was deemed secure enough to hold some of the countries most important objects, including the crown jewels and the doomsday book. The jail has seen 50 hangings in it's time, from the first in 1785 to the last in 1909. Many of the ghosts and phenomena experienced in the jail are varied from the slightest of noises to full apparitions and "repulsive" atmospheres... Eerie sound of footsteps and rattling keys are accompanied by inexplicable voices and misty figures often seen roaming on balconies and cells high above. Terrifying things happen in and around the condemned cell; noises, ghostly shaped and footsteps. Could the cause of all this ghostly activity be Matthew Weekes who was hanged at the Gaol for the brutal murder of Charlotte Dymond. Perhaps he refuses to leave because he believes he was innocent? If you're tempted to go and visit, you'll be pleased to know that ghost walks are a regular occurrence!